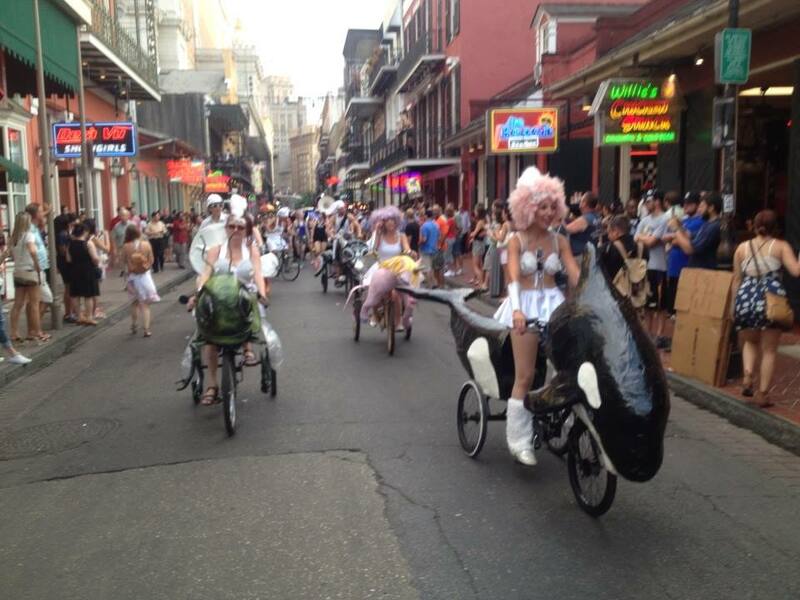 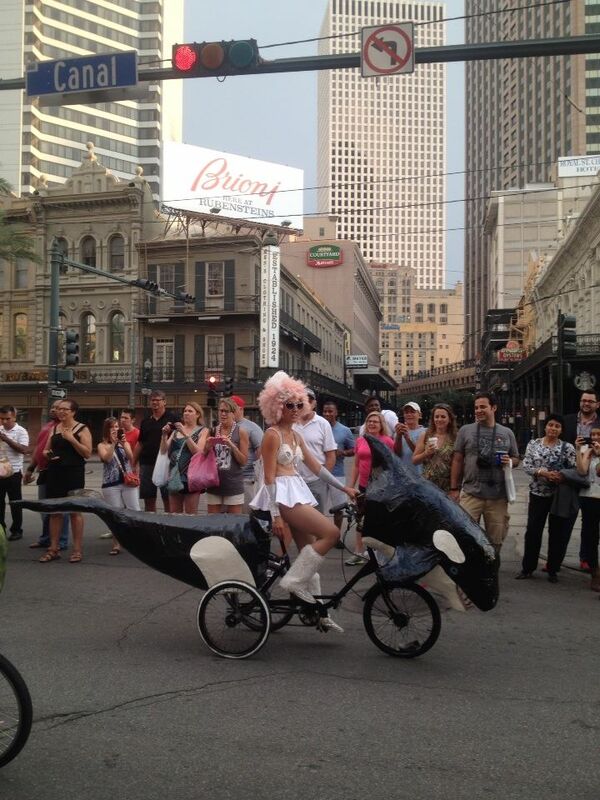 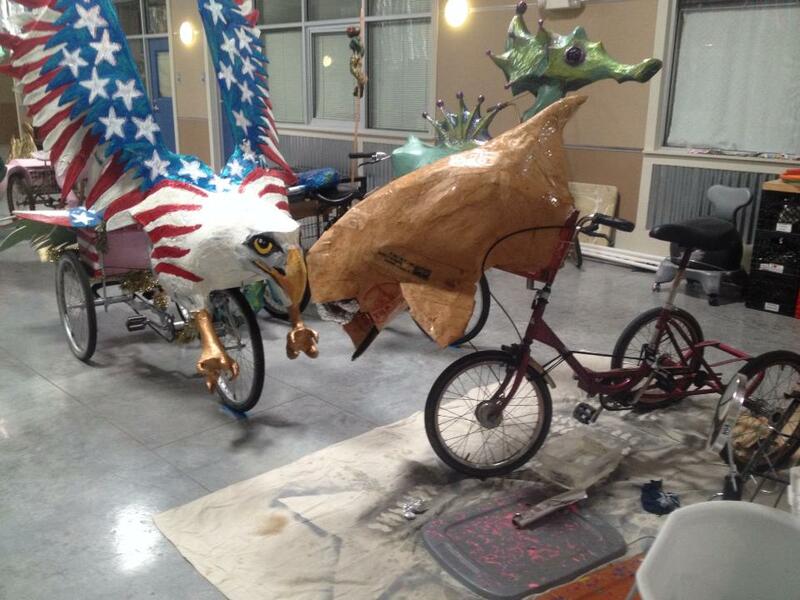 Artist Allison Hilder rides the orca art bike through the French Quarter. 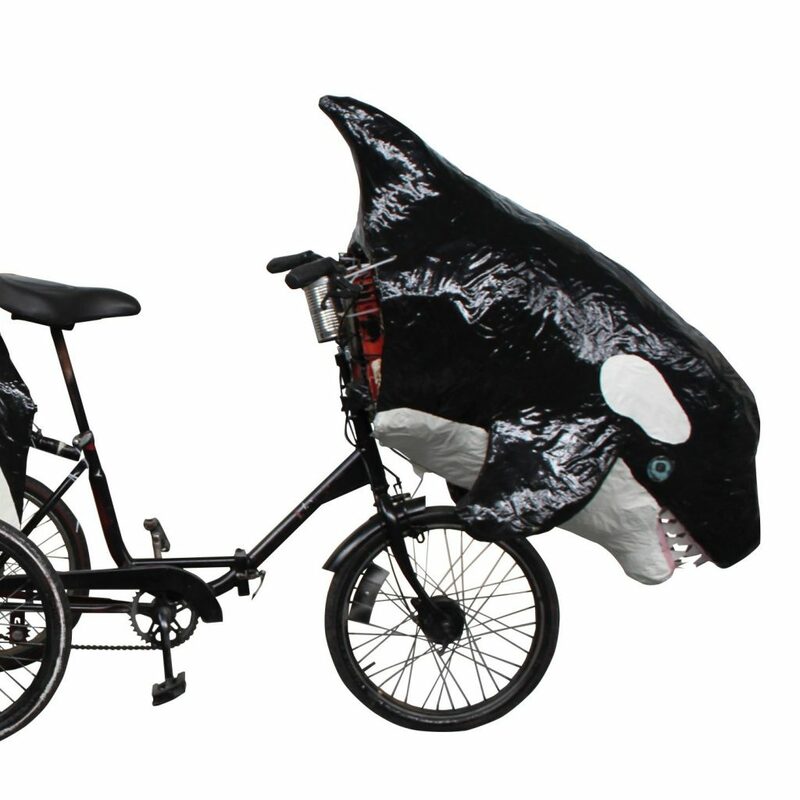 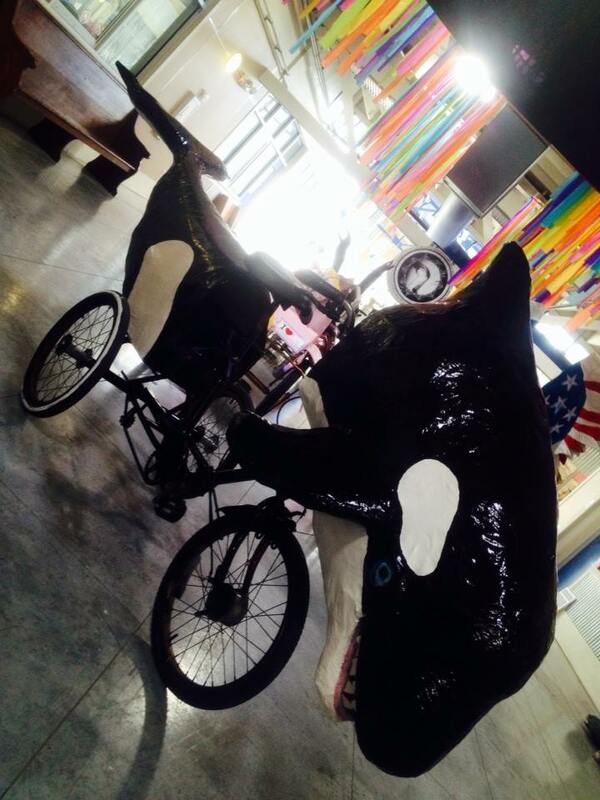 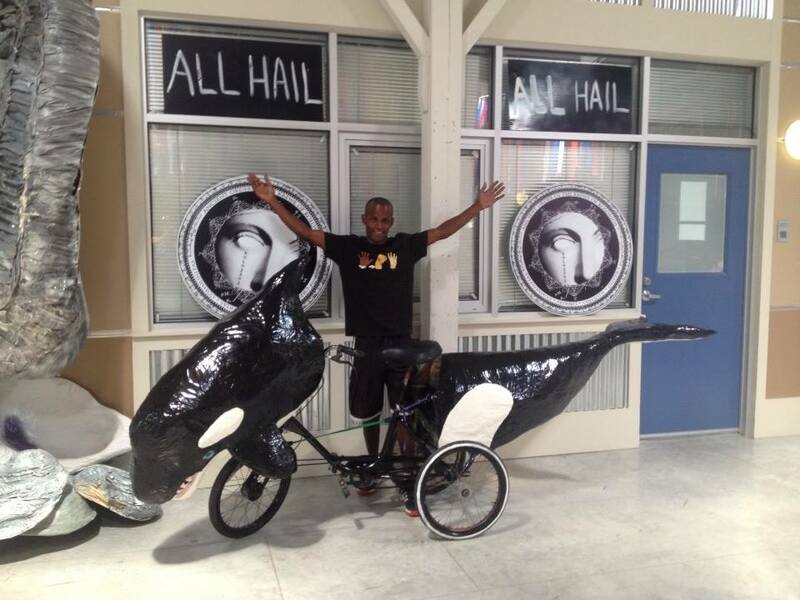 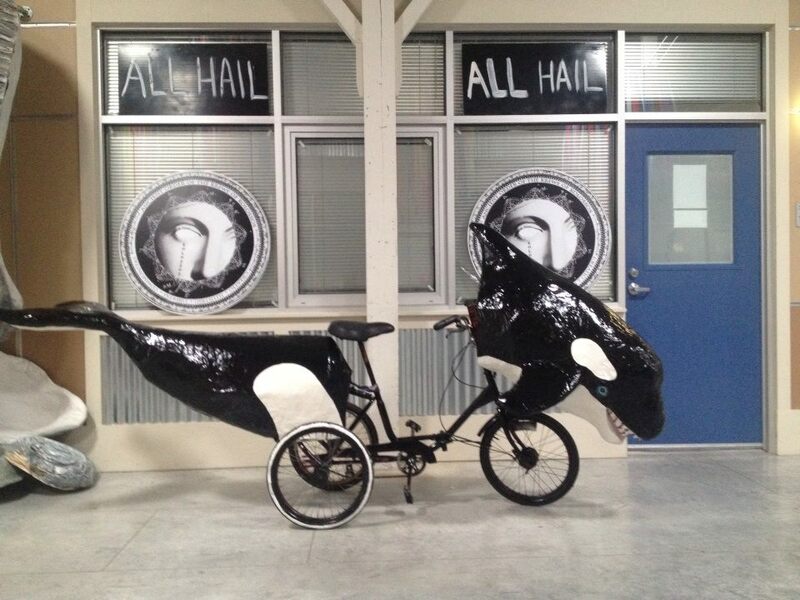 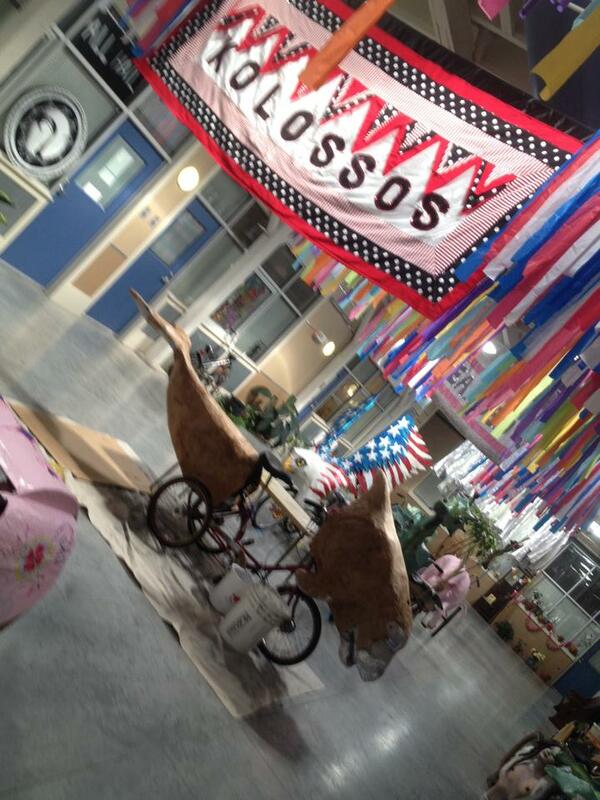 Kiko the Orca Art Bike ready for a parade. 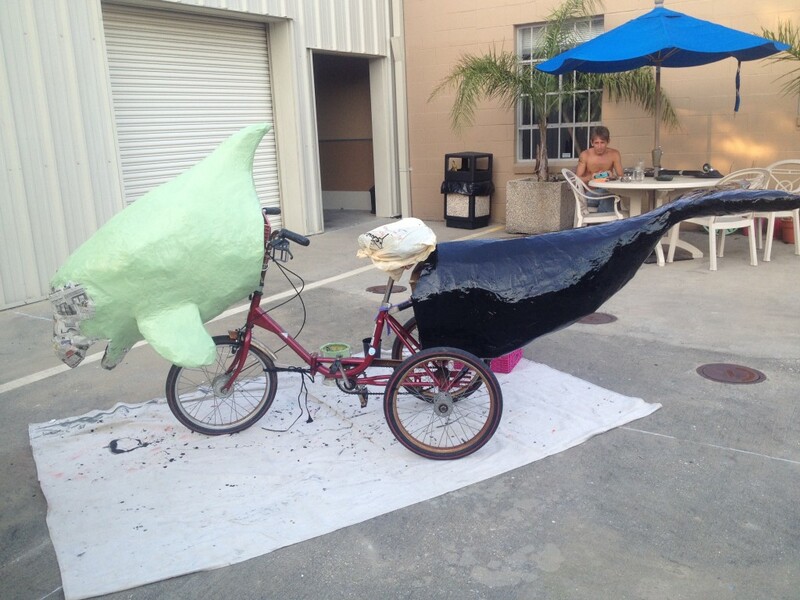 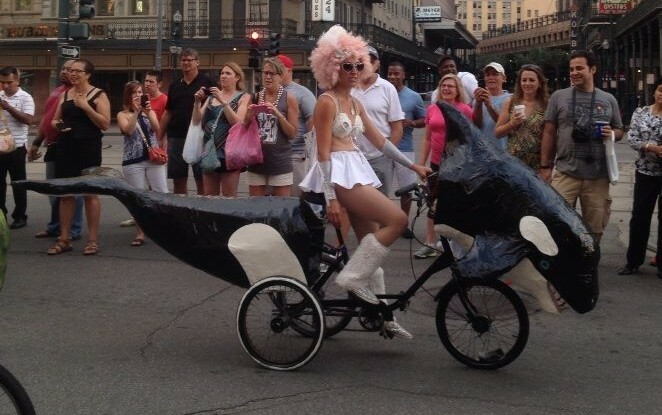 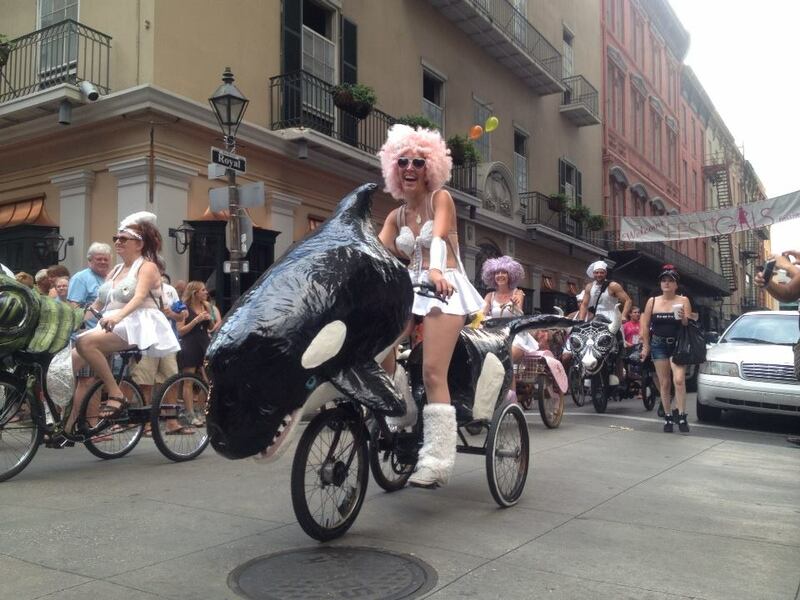 Art Bike Biography: Kiko the Orca whale was created by the Krewe of Kolossos, led by artist Katrina Brees after being inspired by the documentary Blackfish. 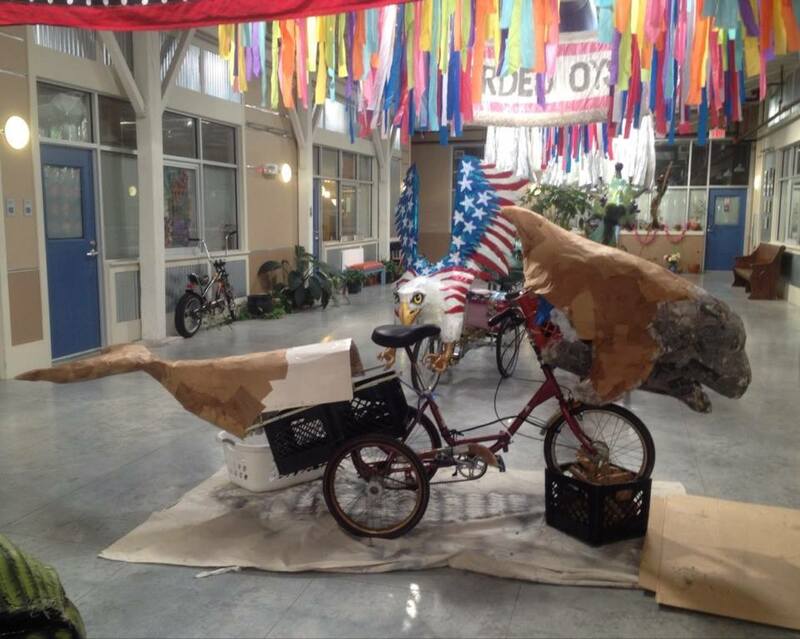 She is constructed from post consumer waste including newspapers and cardboard. 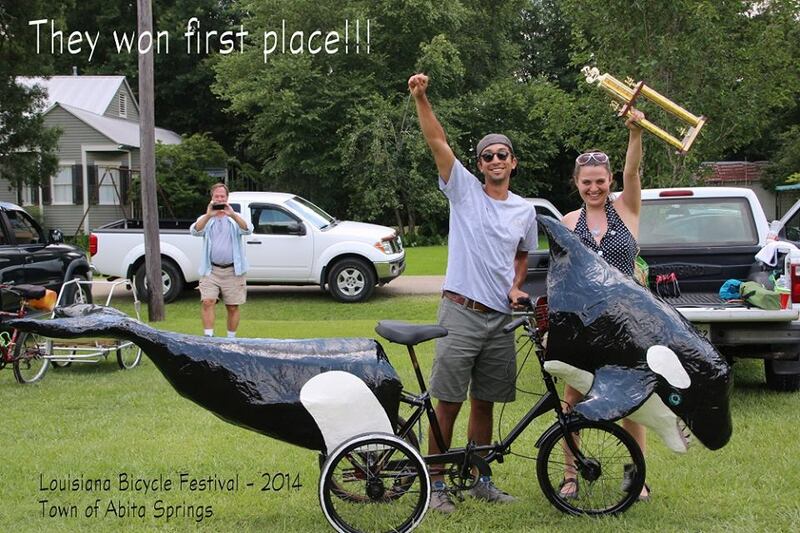 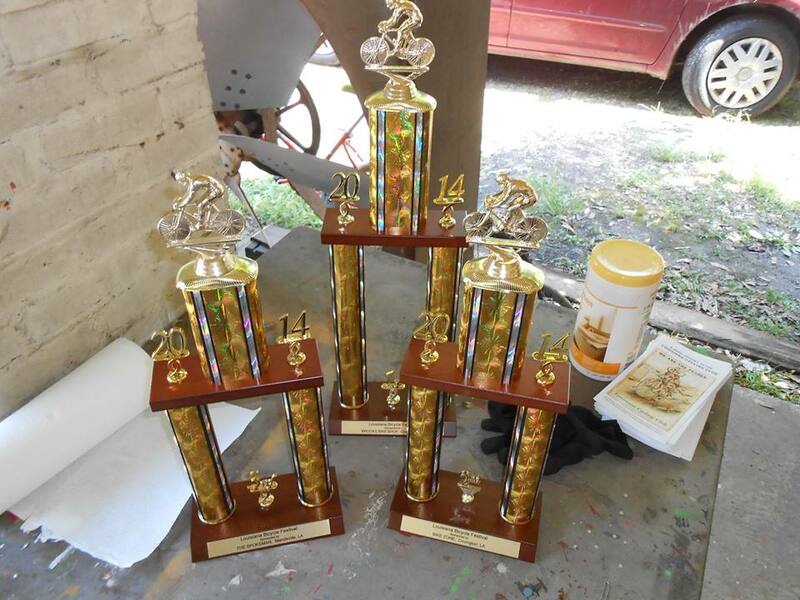 She recently placed 1st and Best in Show at the Louisiana Bicycle Festival held annually in Abita Springs, Louisiana.